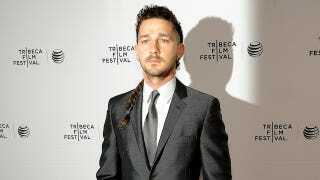 No word on whether Shia’s famous rattail was injured or not. Actually, I’m not sure whether or not he even still has it for his role. According to IMBD, the description for American Honey is “a teenage girl with nothing to lose joins a traveling magazine sales crew, and gets caught up in a whirlwind of hard partying, law bending and young love as she criss-crosses the Midwest with a band of misfits.” Sounds like a rattail-type of movie to me. Wherever that glorious braid of life may be, I am still holding a prayer circle for it tonight.